The popular FFmpeg multimedia library has reached the 3.1.3 release. Here’s how to install it in Ubuntu 16.04 / 14.04 via PPA. 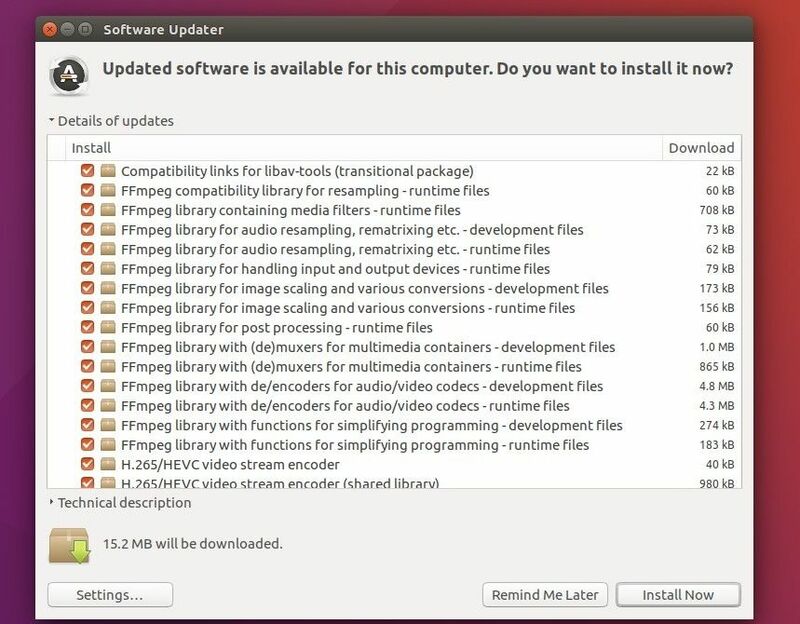 J Fernyhough is maintaining a PPA with FFmpeg 3.1.3 packages for Ubuntu 14.04 and Ubuntu 16.04. 2. To upgrade from a previous release, just launch Software Updater and upgrade the software libraries after checking for updates. After installation, run ffmpeg in terminal to get the version info and build details.